Add another name to the Cubs outfield mix. Today the Cubs announced that they have signed 35 year old Shane Victorino to a minor league deal worth $1M and carries another $1M worth of incentives (Per Jerry Crasnick). I’m not sure if Victorino will be a fit on the field for the Cubs. He will have to be able to field his position at a high level to make this roster and it remains to be seen if he still can. Victorino is another solid clubhouse addition that Theo and company have seen proof of in the past. He is a good guy and a good teammate so I’m sure if he doesn’t make the team he will still have a solid influence on the guys during camp. 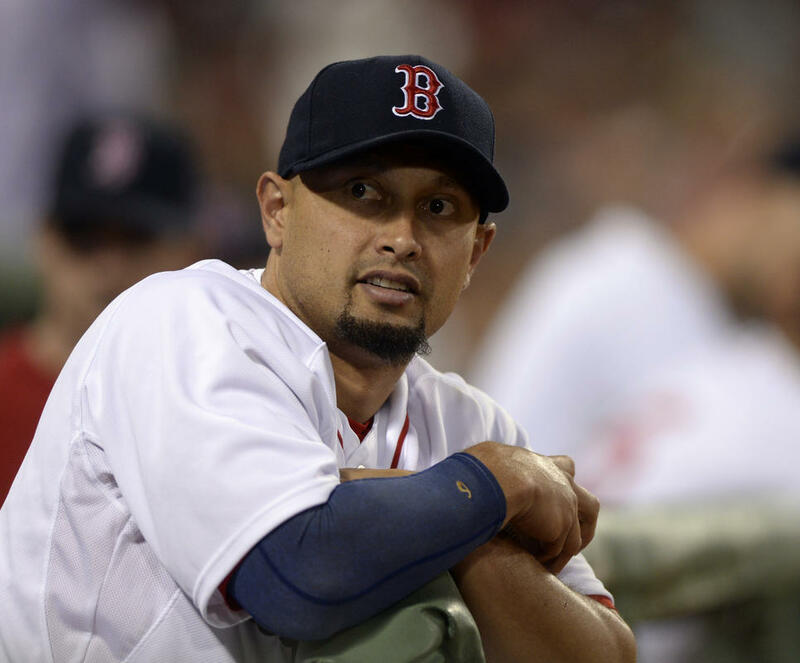 Victorino has had a lengthy major league career and seems like he has been around forever. He made is major league debut with the Padres in 2003 before turning heads with the Phillies starting around 2006. Putting the bat on the ball has been a strength for the “flyin’ Hawaiian” throughout his career which definitely plays off the bench. Dexter Fowler Signs With Cubs, Coghlan Traded; Weeeeeeee! Well, it’s been an interesting last hour. Dexter Fowler is a member of the Chicago Cubs, again. Earlier this week it was widely reported that the Cubs’ 2015 CF was signing a 3 year $33M deal with the Baltimore Orioles. Apparently that is not the case as Fowler has just signed a 1 year deal to return to the Cubs! Per Mark Gonzales Fowler will get $8M in 2016, and then there is a mutual option for $9M with a $5M buyout. This news is coming on the heels of a trade that the Cubs announced earlier this morning. The Cubs have traded Chris Coghlan to Oakland for pitch Aaron Brooks, not the point guard for the Bulls. The outfield situation seems to be unfolding for the Cubs now and not later in spring. The acquisition (re?) of Fowler means that Heyward goes to RF which pushes Soler into LF, and that could be to share time with Schwarber out there when he is not catching. Crazy stuff going down right now, and I think the Cubs just got better, again. 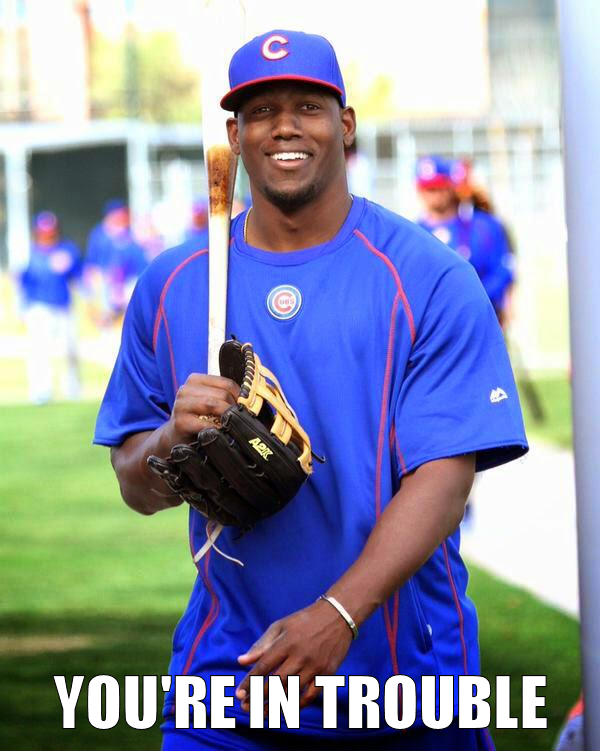 Author bornonthirdcubsPosted on February 25, 2016 Categories 2016 Spring TrainingTags Aaron Brooks, Chris Coghlan Traded, Cubs Dexter Fowler, Dexter Fowler, Dexter Fowler Orioles, Jorge Soler, Kyle SchwarberLeave a comment on Dexter Fowler Signs With Cubs, Coghlan Traded; Weeeeeeee! 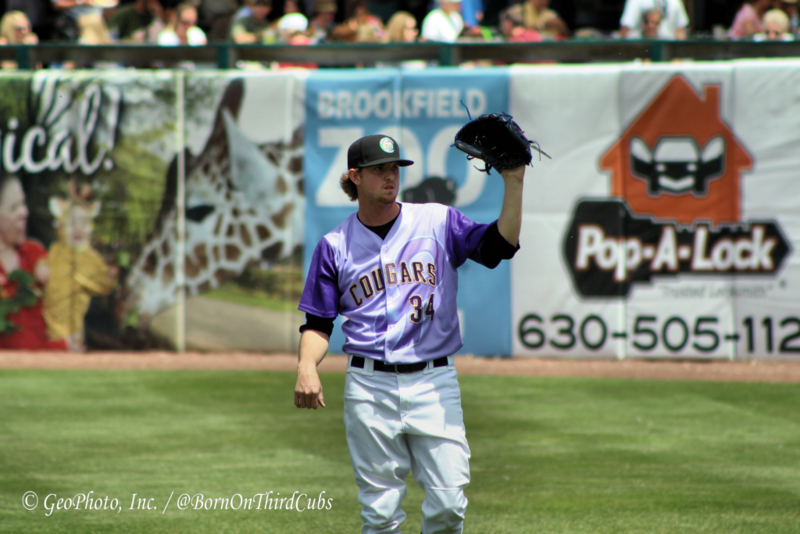 Some of my best memories at this blog have been writing and reporting about the Cubs minor league system because of how good it has been. Leading up to last year it was really the only thing to get excited about as the Major League team was subpar at best. Now the Cubs are World Series favorites, and the prospect rankings are not as top heavy but the talent is apparent throughout. That’s part of what makes this year so fun, winning at the major league level and still seeing a tremendous amount of organizational talent in the system. I really can’t begin to tell you how excited I am to keep an eye on all the arms that are on this list. I really feel like there are a number of pitchers on this list that are close to making a major impact in the system, and eventually on the big league roster. Duane Underwood (#4), Pierce Johnson (#11), Carl Edwards Jr. (#16), and Ryan Williams (#19) all have a great chance to be pitching on the North Side this year. I mentioned that the prospects near the top of this list might not have the same allure as a Kris Bryant, or Anthony Rizzo but they are players who will be part of the next wave of big league talent. I wouldn’t be surprised if Willson Contreras (#2) sees time with the Cubs this year as the backup catcher, or splitting time with Montero/Schwarber depending on what day it is. Please don’t sleep on Albert Almora, a healthy 2016 will go a long way to seeing if he is indeed the CF of the future for the Cubs. There are plenty of reasons why I love this time of year. The weather is starting to warm up (marginally), spring training is just kicking off, and fantasy baseball is emerging from its off-season hibernation. If you are in to fantasy baseball then I suggest you keep reading because I will provide some knowledge from one of the best brains in the game, Mr. Bret Sayre from Baseball Prospectus; follow him on twitter @dynastyguru). Bret specifically focuses on dynasty league rankings so you can expect that these rankings were put together with the idea that you might be freezing/keeping these players after this year. Typically that could mean that a player with a better future ahead of him might be more valuable in the long run than a player expected to achieve greater success in 2016. That’s just a heads up as some of you might notice that these rankings could be a little different than your average run of the mill fantasy baseball rankings. Because this is a Cubs blog we are going to focus on where Bret has said Cubs in his rankings, get excited! ** Rankings listed next to player are the positional ranking, not overall player ranking. Notes about the ranking are my own. 2. Kyle Schwarber – All the way up to second, that’s pretty awesome. Obviously a popular topic is whether or not Schwarber will stick at catcher, regardless Schwarber should have eligibility at C heading into this year’s draft. If he does stick at catcher or at least has the eligibility there then his value is through the roof compared to if he was strictly an outfielder. His value would still be high, but you aren’t going to see the numbers he is going to put up from the position behind the plate typically. 14. Miguel Montero – Miggy falls just outside the normal range for your everyday starting catcher (typically top 10-12 are going to be your #1). It’s not a bad value for Miggy as he is still going to get a large amount of playing time in the middle of a lineup that looks to be very dangerous heading into 2016. 31. Willson Contreras – The Cubs number one prospect is getting some love from Bret and looks like someone to target late in drafts because of his future value behind the plate. 2. Anthony Rizzo – Only Paul Goldschmidt ranks ahead of Rizzo which seems reasonable giving how awesome that guy is. I love the ranking for Rizzo and it makes a lot of sense because he seems to be getting better with each season and now sits in the middle of a lineup that is ripe for production for the foreseeable future. Entering his age 26 season Rizzo looks to improve upon some gaudy numbers from last year, (38 doubles, 31 homers, 101 RBI, 17 stolen bases, 78 walks, 94 runs). 23. Dan Vogelbach – I’m not surprised that Vogelbach continues to receive favorable rankings in the dynasty leagues. The big man at first base is a threat across the board but he’ll probably have to find another team to play for in the National League, or move to the American League as first base/DH are his only options. 9. Javier Baez – Baez has always been an intriguing option but this year his value takes a bit of a hit because of the acquisition of Ben Zobrist and the versatile Cubs roster. That doesn’t mean that Baez is void of value, he made improvements to his game last year and has been rumored to play a little CF this year. The more time on the field the better for Baez and his owners moving forward. 18. Ben Zobrist – The newcomer to the Cubs has never really had a ton of value at one position because he is so versatile. Teaming up with Joe Maddon this year means that Zobrist will be utilized to his full potential wherever the Cubs skipper needs him. Because of that I expect him to be in the lineup the majority of time which will give Zobrist plenty of value to be drafted as a utility/bench guy this year. 32. Arismendy Alcantara – Yes, he does still exist! Alcantara has been floating around these lists for a few years and is kind of the forgotten man in the Cubs organization. He still has a World of talent but needs to prove he belongs on the field as the next wave of Cubs prospects are nipping at his heels. 2. Kris Bryant – Depending on what kind of league you play in Bryant might be the number one overall pick. No one in the game can match the pure power that he has, but he comes in on this list right behind Manny Machado. The fact that 2015 could be the bottom of the barrel in terms of production is enough to invest highly in Bryant as the cornerstone of your fantasy franchise. 34. Jeimer Candelario – The thing that has impressed me with Candelario is that he is a prospect that has seen a fair amount of failure only to learn from it and get better. Candelario has made some solid strides in the past year or so which gives him some value moving forward. 4. Addison Russell – I still contend that when it is all said and done Addison Russell might be the best of the bunch when it comes to the recent group of Cubs prospects. Russell does everything well, and flashed brilliance in 2015 before seeing his season end early in the playoffs due to an injury. I see no reason why Russell can’t get better with experience as he has shown the ability to make adjustments through his minor league career. 25. Gleyber Torres – Don’t look now but the Cubs have another shortstop that is making noise in the minors. Torres is the next big thing coming out of the Cubs’ system and he could be ready to make some sort of impact earlier than initially expected as he made it all the way to High-A Myrtle Beach last year as an 18 year old. Torres is definitely a guy that I would have no problem stashing in a minor league spot and waiting to see that investment pay off in a big way. Once the full outfielder rankings, and pitching rankings are released I will put something similar together for you. Thanks for reading! If it’s one thing that the Cubs organization likes doing it’s signing players that might be down on their luck, or just coming off bad seasons/injuries. The latest example of that philosophy happened today as the Cubs signed right handed relief pitcher Aaron Crow to a minor league deal. Crow (29) did some solid work out of the Royals bullpen from 2011 – 2013 before being acquired by the Miami Marlins. The ground ball specialist struggled in 2014, I would think a lot of that had to do with a drop in velocity, and subsequent Tommy John surgery. Definitely a no lose situation here for the Cubs as they look to solidify their bullpen as camp opens. The bullpen battle is definitely something to keep an eye on as the spring progresses, there are a number of talented arms in said race. If Crow can prove to be healthy, and see an uptick in velocity then there is no reason to think that he won’t be a major player in the Cubs’ pen. Quite possibly at the back of the bullpen as well because you really can never have too many bullpen arms. Crow probably won’t be available until June. I’ve been on this Earth for 33 years, and for the better part of my time here I have been a Cubs fan, so disappointment comes with the territory. With that disappointment comes hope that is usually misguided, and a catch phrase of “wait till next year” drives that misguided optimism year after year. The National narrative doesn’t help things with a constant “don’t worry, the Cubs will screw it up because they’re the Cubs” refrain. That repetitive opinion starts to creep into our subconscious; maybe all those experts are right, nothing good ever happens. It was even evident last year during what I can say was honestly the most enjoyable baseball season of my life, there was doubt. A daily rollercoaster of emotions based on whether or not the Cubs won. What did the Giants do? Look out for the Nationals, they’re getting hot. The Diamondbacks are making a run; did you see the schedule down the stretch? Its typical pennant race behavior which I totally get, but something about last year changed my views on hope, it made me realize something important and fun… it’s real. I got into a number of discussions last year on the inter-webs about this very thing and it was startling how many people, good baseball people, hoped that other teams would take care of the Cubs’ business for them. In the past I would be right there with them, but the leadership group of this organization, the players, and their overall attitude towards winning, and competing made it very clear to me that I no longer had to worry about that. This Cubs team was going to leave everything on the field and for the most part the opponent couldn’t keep up. It was never more obvious than during that four game series against the Giants at home. We all thought that Hector Rondon and a rare bout of wildness was going to derail the game, and the season, it was over. Then it wasn’t, Rondon wiggled off the hook, and the Cubs pounded the Giants right out of the wild card lead into an October without playoff baseball. A postseason of Cardinals’ devil magic followed. 2016 was full of horrible losses to the Cardinals, it was impossible to ignore those losses heading into the NLDS. The reason for most losses was the dreaded Cardinals’ devil magic because it was more fun to talk about that then talk about how the Cardinals made their own breaks or came up with a clutch hit or two. Things went wrong in Game One for the Cubs as worries of the unbreakable Cardinals, and the “too young to be here” Cubs were coming to fruition. Then Javier Baez massacred a mistake from John Lackey en route to Dingerpalooza 2015 taking place at Wrigley…. Hello NLCS! I would say that a large number of people converted over to less fatalistic thinking as the season came to a close against the Mets. The Cubs were getting beat by the Mets because the Mets were a good team, and the Cubs couldn’t get out of their own way. I was pretty excited to see a lot of fans recognize what was going on; it wasn’t the Cubs blowing an opportunity as only the Cubs could do. It was the Cubs just losing a game and losing a series in the infancy of their window of opportunity to win a World Series. So now the Cubs are on the brink of starting the 2016 season with the highest expectations possible. The organization identified needs heading into the off-season and sent a powerful message to this fan base and the rest of baseball that they are not going anywhere by bringing in Jason Heyward, Ben Zobrist, and John Lackey. The players have clearly bought into what Joe Maddon, Theo Epstein, and Jed Hoyer are selling. I suppose it’s okay that some fans are still overcome with worry when they see the Cubs as World Series favorites. I’m just glad that the players taking the field are embracing it, and ready to win a World Series, not because of any curse or because of the losing History, but because they expect to. Afternoon Delight: Dominant Bullpen on the Horizon? The bullpen is a tricky thing, from year to year guys come and go, and every once in a while a team boasts a dominant bullpen relatively out of nowhere. Off-season acquisitions, and power arms marinating on the farm are usually catalysts for such success, but injuries, and unforeseen ineffectiveness can derail the pen quickly. Given the large number of variables that go into predicting the success of a bullpen it’s usually an exercise in futility, but here goes… The Cubs’ bullpen has a chance to be dominant (They all do! You’re screaming), well, let’s just look at the options, shall we? The Cubs have a solid core group of guys coming back this year, which could point to a reasonable amount of success in 2016. I base this mostly on the fact that the Cubs had the 8th best bullpen ERA in the Majors last year, and names like Brian Schlitter, Rafael Soriano, Edwin Jackson (wasn’t too terrible in this role), Gonzalez Germen, and Phil Coke were members of said pen. To be fair, guys like Trevor Cahill, and Travis Wood exceeded expectations in rather unfamiliar bullpen roles last year, and it wouldn’t be crazy to think that they will come back down to Earth a bit. The fact remains though, the best arms out of that Cubs pen are back this year, and there really is no reason to expect a significant drop in performance. Let’s break down the possible bullpen roles, yes, despite the crazy competition that will be taking place this spring. On paper… on paper, that looks pretty darn good, and obviously as I write this I’m using the most optimistic thoughts as possible. A big key here is the health of Neil Ramirez, he was outstanding in 2014, and parts of 2015 when he wasn’t battling back from injuries, a healthy Ramirez goes a long way towards a great 2016. Adam Warren proves to be an upgrade over guys that the Cubs had to turn to last year in tough spots, like Jason Motte (again, ignore the injuries for the sake of this conversation). There is also a chance that Warren will have an opportunity to win a rotation spot, but guys with flexibility are all the rage for Joe Maddon. Rex Brothers, who was dominate in 2013, and struggled mightily in 2014, looks to bounce back, and if he does proves to be another rather large upgrade. 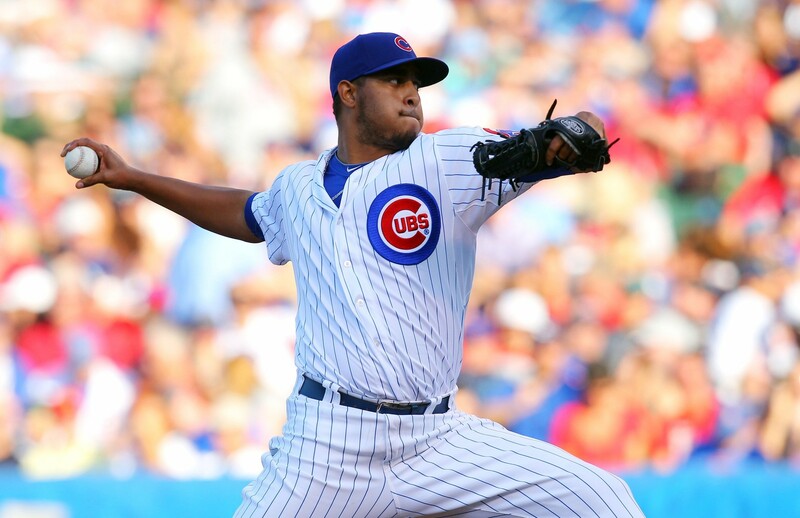 Young arms like Carl Edwards Jr., Duane Underwood Jr., and Pierce Johnson could also make an impact in the Cubs pen this year despite being starters while working their way through the organization, save for Edwards Jr. last year. The talent pool is better than last year, and the depth is better as well, those two things put the Cubs in a good spot to start the spring. If injuries pop up, like they absolutely will, the Cubs are in a better position to handle them, and still might have a few new additions that could surprise during camp, and win a job. Author bornonthirdcubsPosted on February 16, 2016 February 16, 2016 Categories UncategorizedTags Adam Warren, Brian Schlitter, Carl Edwards Jr, Cubs 2016 bullpen, Duane Underwood Jr., Edwin Jackson, Gonzalez Germen, Hector Rondon, Joe Maddon, Justin Grimm, Neil Ramirez, Pedro Strop, Phil Coke, Pierce Johnson, Rafael Soriano, Rex Brothers, Travis Wood, Trevor Cahill3 Comments on Afternoon Delight: Dominant Bullpen on the Horizon?